The knee pit, known in medicine as the popliteal fossa, is the hollow region located just behind the bone forming the knee joint. 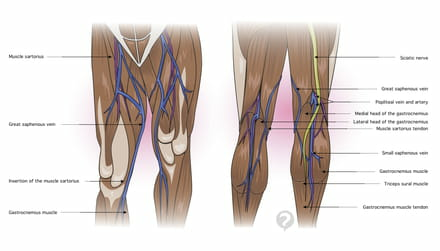 It is an area of passage for several vascular and nervous structures, notably the popliteal artery, which carries oxygenated blood to areas below the knee, the small saphenous vein that joins the popliteal vein in the knee pit, and also the sciatic nerve, which divides into two branches here. The popliteal fossa may be susceptible to various anomalies, of which the most frequent is the popliteal cyst, a small, but often painful, mass. 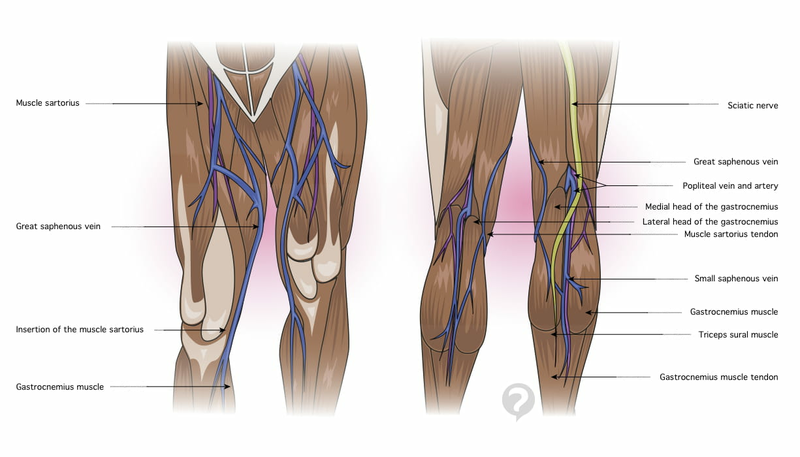 This document, titled "Knee pit - Definition," is available under the Creative Commons license. Any copy, reuse, or modification of the content should be sufficiently credited to CCM Health (health.ccm.net).